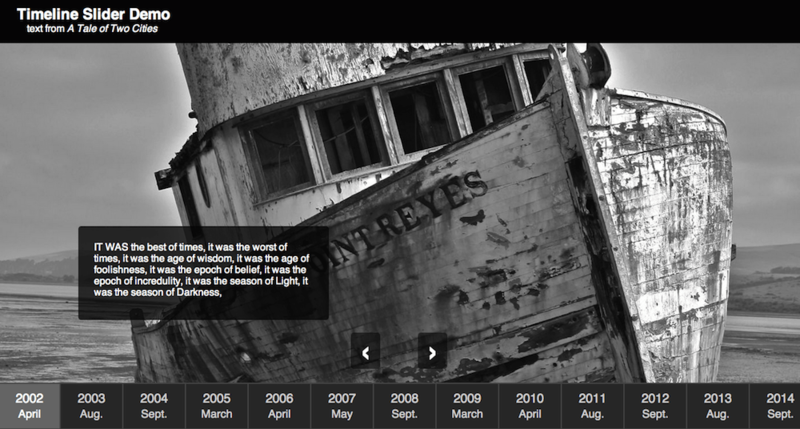 I built this jQuery full-page, responsive timeline slider to meet custom requirements on a project. We needed a full-page responsive slider that could be used to demonstrate a company timeline. This slider also needed to work within a framework which had dynamically generated content. I was easily able to incorporate it into a Django project as shown here.